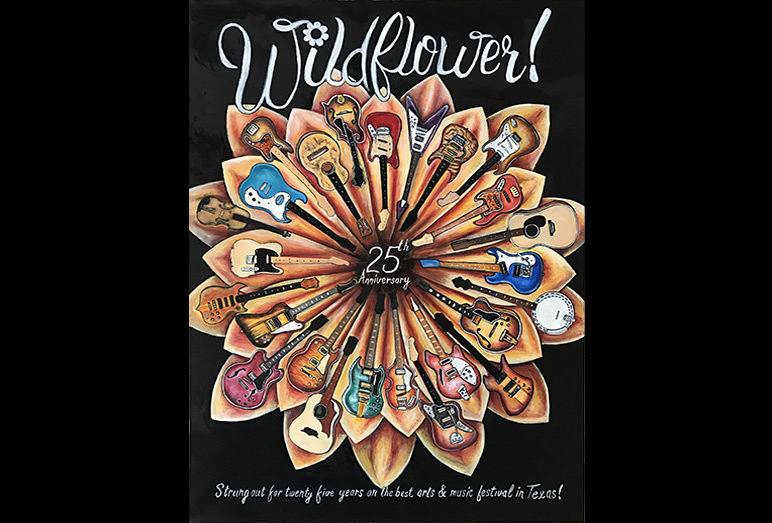 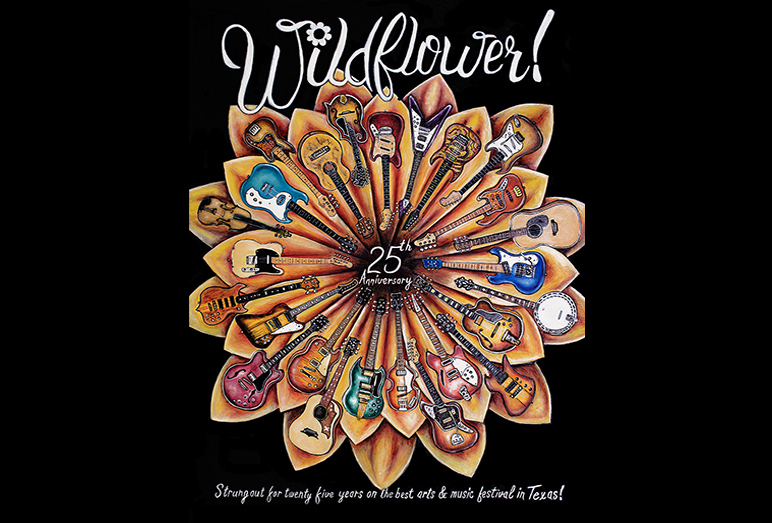 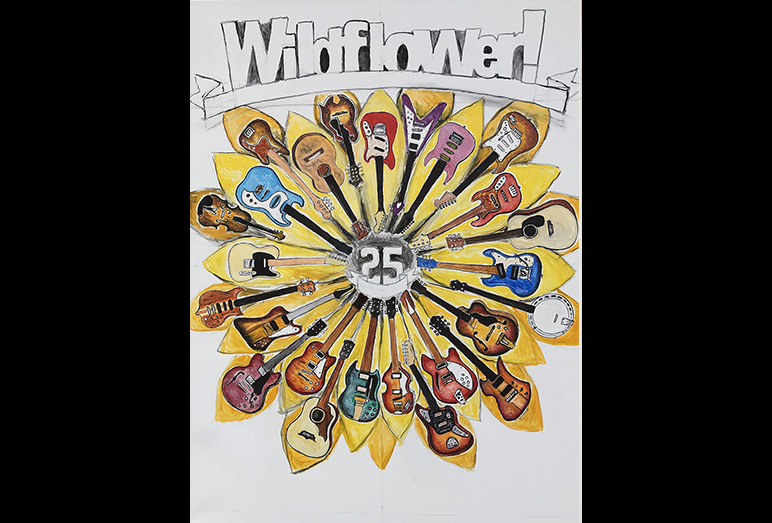 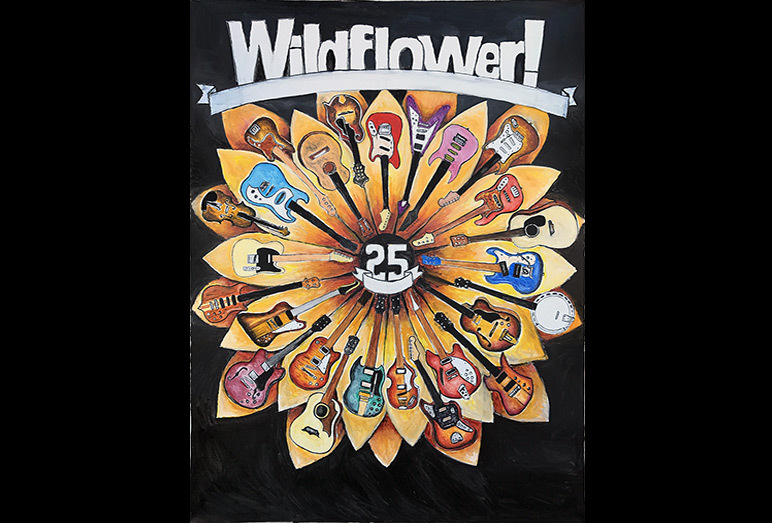 Tom has finished work on this tribute painting to the Wildflower Arts & Music Festival of Richardson, Texas. 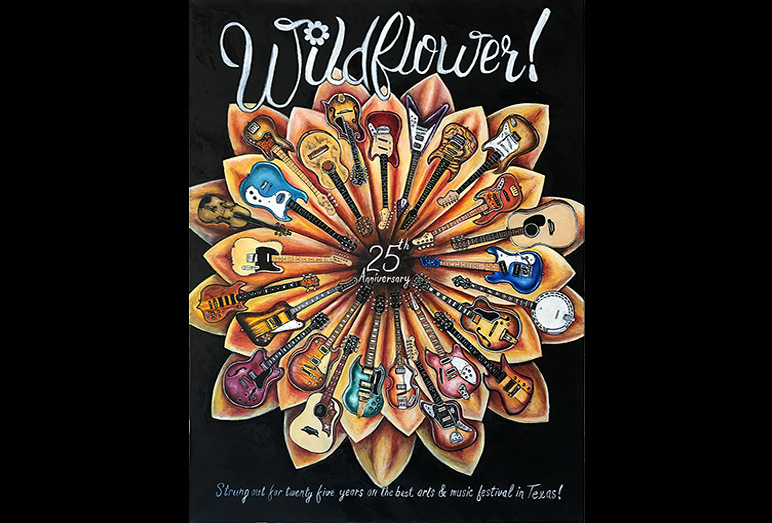 The biggest music gig in the metroplex! 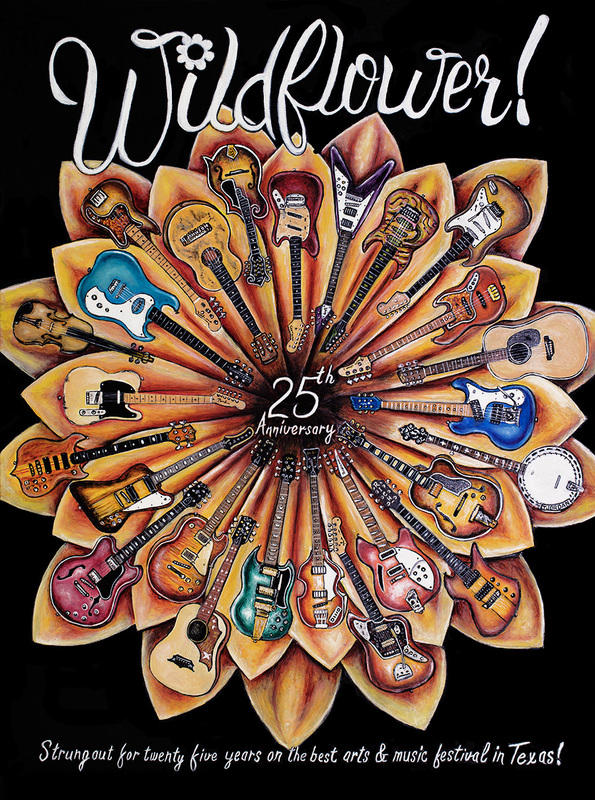 In 2017 this event will be celebrating it's twenty fifth anniversary. 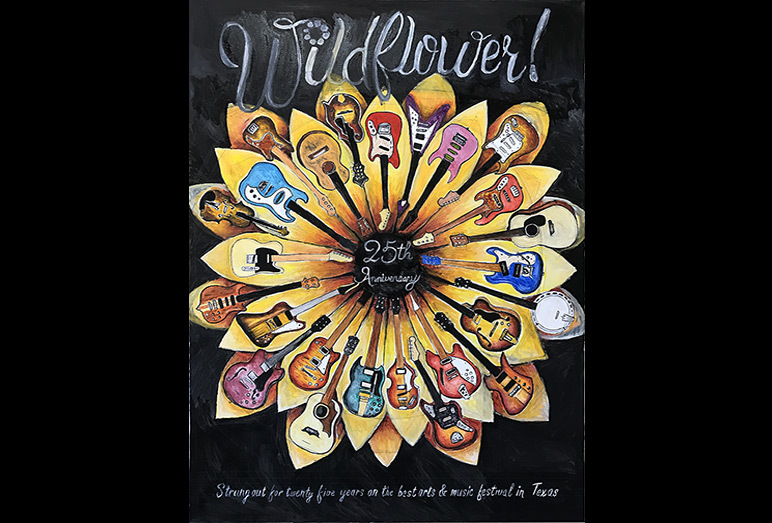 The dates of the festival are May 19-21 at Galatyn Park in Richardson TX. 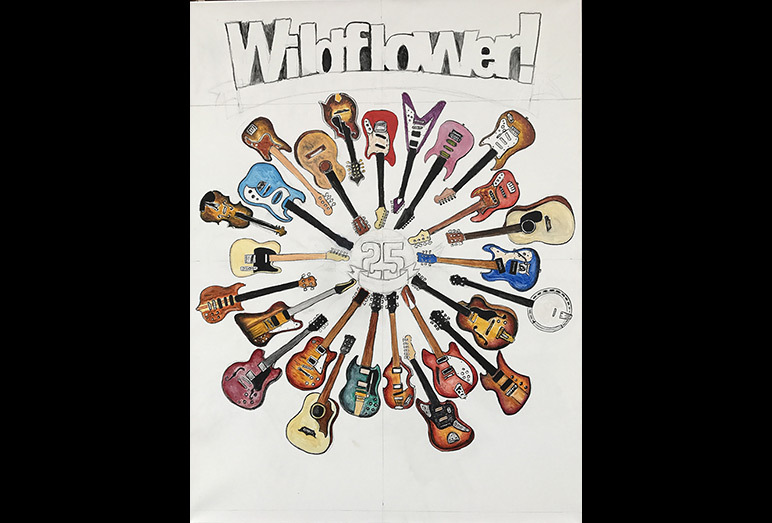 Classic Guitars -- Painting profiles -- Use controls to view all images.